In 2011, people never expected the taxi industry to take an 180º turn. Taxi medallions, which are small, aluminum medallions that gave government permission to operate a vehicle as a taxi for hire, were being sold for record prices and making headlines. 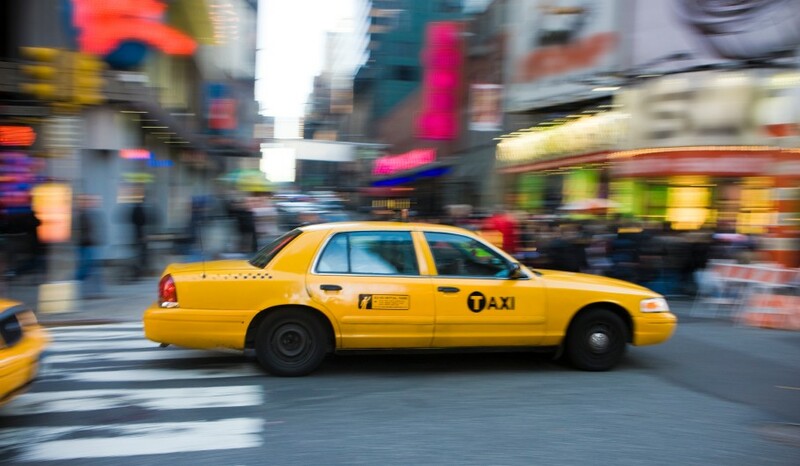 In NYC, where taxi medallions were capped at 13,587, they were being sold for a record $1 million apiece in 2011. And remember—this is just $1 million to operate a cab—not the car, insurance, or any other costs applied. By 2014, these medallions were going for over $1.3 million apiece, which is completely shocking compared to today’s prices, which have dropped to a value just over $230,000. Then came Uber, followed by Lyft, in a swarm of innovation and competition, bringing the taxi industry a platter to be served—better service, lower prices, and happier consumers. Consumer convenience and a wide driver network shot ride-hailing services above their taxi counterparts. Uber and Lyft became platforms for both riders and drivers as a means of transportation and a way to make a decent salary without being locked into a government-created monopoly. Now, Uber has an audience millions of users who regularly use its app to get from point A to point B, making it a huge player in the future of autonomous vehicles. A topic many people asked about after my presentation on Autonomous Vehicles and the Changing Insurance Landscape was how exactly Uber and other ride-hailing services are utilizing autonomous vehicles and if there are any government hurdles to implementing this technology. I know I bored you enough with insurance, so let’s move on to this week’s topic of ride-hailing! Although Uber has faced much backlash over senior executives, employee treatment, and law evasion, they continue to dominate the ride-hailing markets and dedicate a lot of their income to heavy research and development. Future looking, Uber wants to get its drivers off of the road—a huge cost to the company—and implement driverless vehicles to their business model, which will cut costs and increase revenues. Not only will it have many perks for riders, such as increased safety and lower prices, but it will completely rule out the need for drivers so that the fare will go directly to Uber. 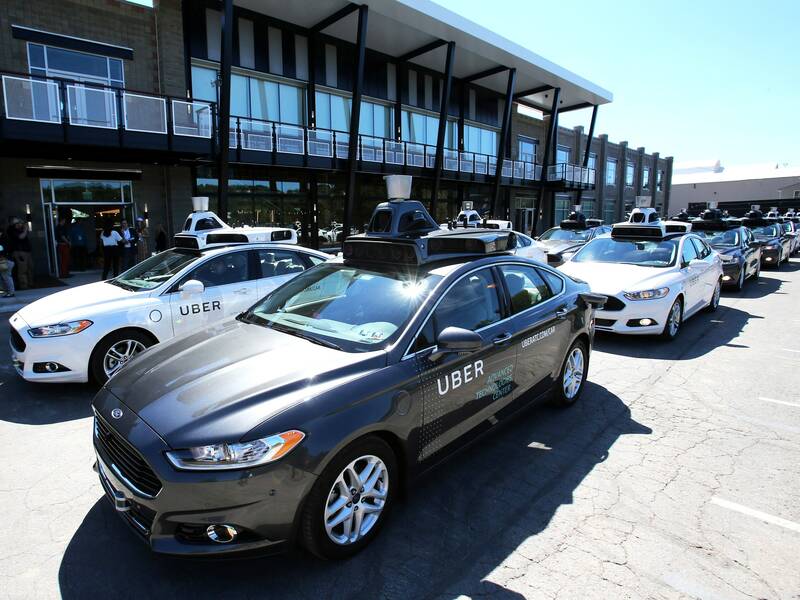 In 2015, Uber’s Advanced Technology Group Center opened up in Pittsburg and the company announced its intention to become a self-driving force. To begin, Uber poached more than 40 researchers from Pittsburg’s prominent Carnegie Mellon University, which has a rich history as one of the nation’s top robotics programs. In less than two years, self-driving test vehicles, in the form of Ford Fusions, could be found cruising throughout Pittsburg. Additionally, Uber partnered with Volvo for two high-profile self-driving programs in Pittsburg and San Francisco, although California state regulations exiled that program to Phoenix. Lyft hasn’t been standing idle either. As Uber has dug itself into deeper and deeper PR disaster holes, Lyft has capitalized on their blunders by lining up a huge investment worth $500 million with carmaker GM, as well as a partnership with Alphabet’s Waymo. Both companies face many challenges ahead, though. In general, autonomous vehicles take years and much capital to develop and perfect. Additionally, these fleets of vehicles will require vast datasets to operate off of to make real-time decisions, in ways that are as accurate and even safer than human drivers. For Uber and Lyft to continually test and make advancements, they will need reliable partnerships with leaders in auto manufacturing, data analytics, and artificial intelligence. These relationships will be key for Uber and Lyft’s success in the future, as they should not spread themselves too thin, while doling out cash left and right. The technology and engineering behind Uber and Lyft’s autonomous vehicles is extremely important and necessary to shift towards a driverless future, but one more obstacle stands in the way: the government. All players in the autonomous vehicle game will have to work hand in hand with the government, but fear overregulation. This is one of Uber and Lyft’s biggest fears at the moment, a fear that could stint advancements, ban testing, and add many additional hurdles for these cars to drive on the road. The issue at hand is how to effectively govern the system because “this evolving technology permeates so many parts of society: public safety, privacy, the environment, liability and insurance law, employment, urban planning, and more,” says Bryant Walker Smith, an expert on autonomous vehicles at the University of South Carolina School of Law. Autonomous vehicle players are hoping for federal guidelines, instead of state-by-state laws, so that their technologies can be implemented nationwide. After all, federal oversight will provide a broad, consistent framework for testing and deploying these vehicles on the road. According to US Transportation Secretary Elaine Chao, “[the Trump administration] wants to make sure those who are involved understand how important safety is. We also want to ensure that the innovation and the creativity of our country remain.” As technology in this sphere rapidly evolves, we can only hope that government can evolve, too. It’s interesting to see all of the different partnerships that Uber has made surrounding autonomous vehicle technology. I definitely think that Uber and Lyft are going to face many setbacks when trying to implement autonomous cars into their business models. Besides the government regulations that they will face, as well as the immense amount of research that they will have to conduct, Uber and Lyft will also have to regain our trust. I think it is going to take a decent amount of time for people to feel comfortable getting into a car that is fully automated. Still, I have no doubt that Uber/Lyft will gain our trust again. Great post! It is no surprise to me that Uber and Lyft have become interested in the autonomous vehicle industry. As I am not sure how quickly they would actually be able to implement this new business strategy it seems there is still MUCH needed research and development that will be needed for both companies. Also, I do not believe everyone that is currently using Uber and Lyft is comfortable riding in a self-driving car. Another point I thought about is the interaction that most Uber and Lyft riders have with their driver. Many riders do like to have conversations with their driver but if Uber and Lyft change their business model this will not be able to occur. Nice post. We’ll have a guest speaker in a few weeks who will talking about the legal implications of digital technologies and social media. Her general theme is that the law always lags technological reality. Uber and Lyft are trying to capture the entire pie and would essentially be creating a duopoly if autonomous vehicles become the sole option in ride sharing. As ideal as it sounds, I think we would be better off if it doesn’t come to that because our economy would crash and cause a myriad of other problems.